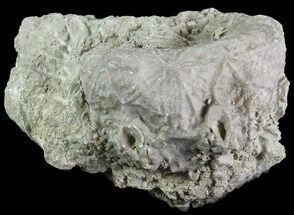 This is a plate of detailed Eocrinoids (Ascocystites sp.) 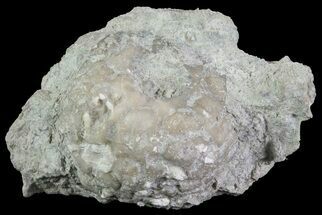 collected near Kaid Errami, Morocco. 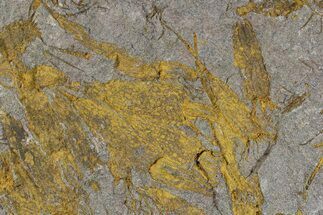 The reddish/orange coloration due to the oxidization of iron pyrite is very beautiful and showy. 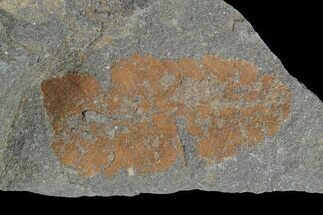 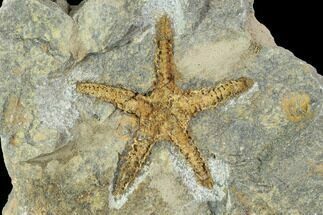 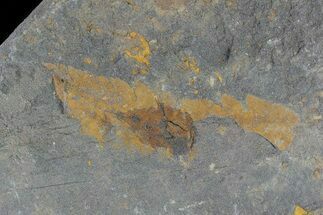 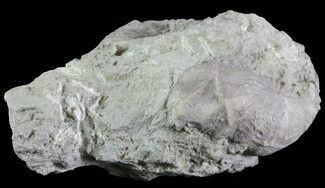 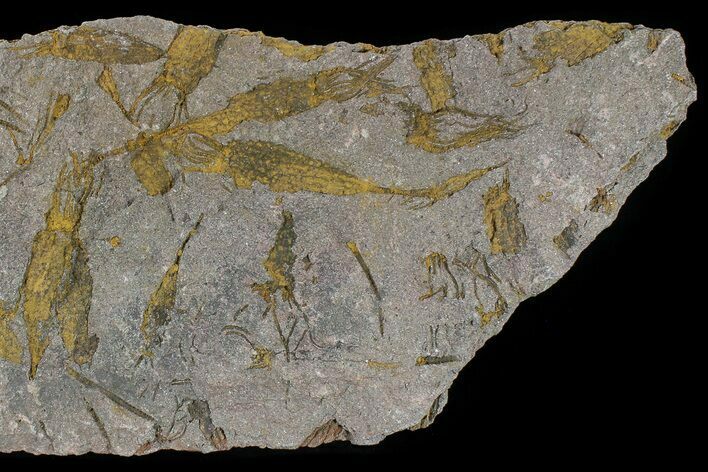 This specimen features fossils on both sides. 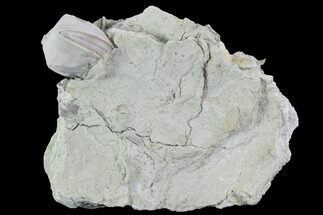 Largest Fossil 2.7", Rock 9.6 x 4.3"